Standard model will soldier on with a 3.5-liter V6. 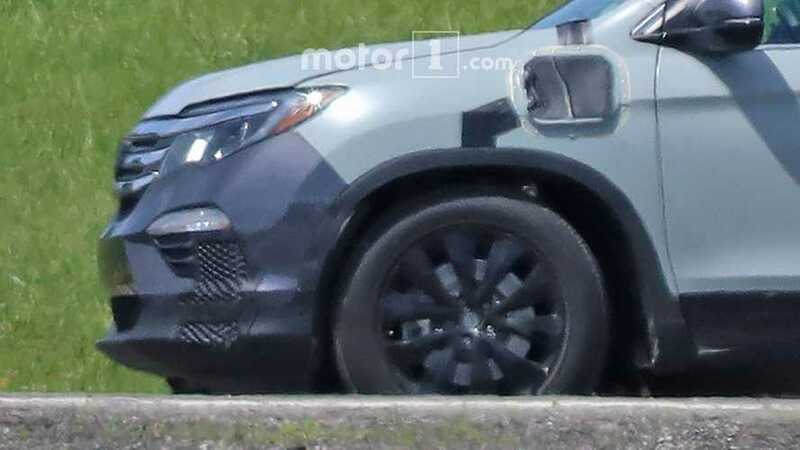 In March this year, we saw a prototype of the refreshed Honda Pilot out testing for the very first time. Now, almost four months later, we have a batch of fresh spy photos, depicting the plug-in hybrid version of the vehicle. Today’s Pilot rides on a clever platform, which means no major constructional improvements will be made with the facelift. Instead, the Japanese automaker will update the design of the vehicle and will give it a more prominent grille and redesigned headlights. But far more important changes should happen under the hood, where the Pilot will gain a hybrid powertrain shared with the Odyssey. The system comes from the latest Accord Hybrid and includes an efficient 2.0-liter Atkinson-cycle gasoline engine and an electric motor for a combined output of 212 horsepower (158 kilowatts) and 232 pound-feet (314 Newton-meters) of torque. Power is sent directly to the front wheels without a transmission. In the Accord, the hybrid powertrain can be operated in three driving modes – Hybrid Drive, Engine Drive, and EV Drive. These new photos reveal Honda is actually cooking up a plug-in version of the hybrid system for the Pilot, judging by the charging point on the front left fender. Of course, the updated Pilot will also be offered with a traditional 3.5-liter V6 naturally aspirated gas engine with Variable Cylinder Management technology and 280 hp (208 kW) and 262 lb-ft (355 Nm) of torque. As standard, the motor is mated to a six-speed automatic gearbox, but more expensive Touring and Elite models use a nine-speed gearbox instead. An AWD system is available across the range. The refreshed Pilot will arrive at dealers sometime next year after an expected debut before the end of 2018. It could be joined by a smaller SUV, possibly reviving the Passport name, but nothing is confirmed yet.